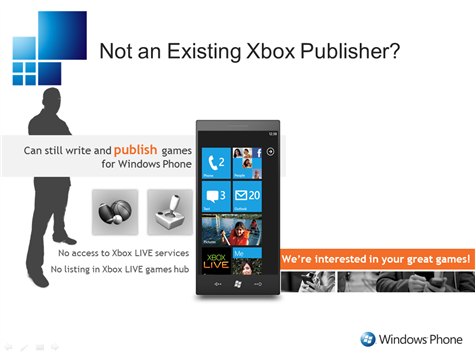 I wrote about some pointers regarding getting your Windows Phone 7 apps on the marketplace when it opens, in this post I’ll talk about games. 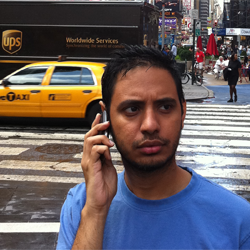 One of the biggest announcement is the Xbox LIVE integration with Windows Phone 7. 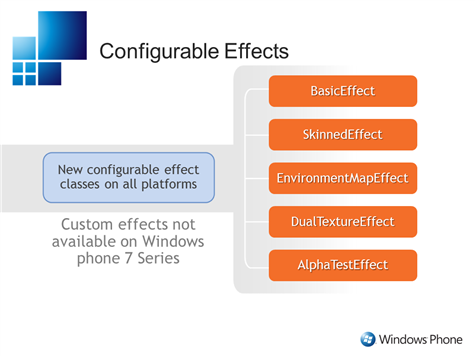 With Windows Phone 7, Microsoft is stream lining game development on the phone, desktop and Xbox. 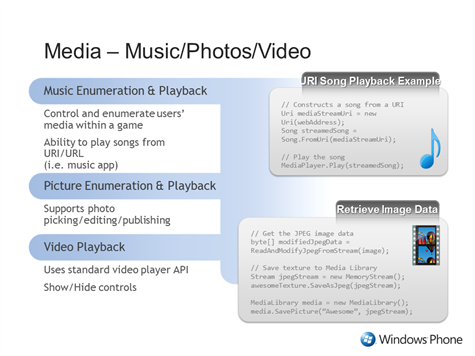 The idea is to make available a common library that makes it easy for developers code games for either of the platforms. 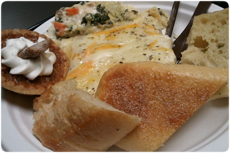 Before I talk about developing the games, I’ll talk about submitting a game to the Marketplace. Microsoft has a program called Xbox Game Publisher where companies are registered as game providers, obviously this registration comes at a cost. the games won’t be listed in the LIVE Games Hub. 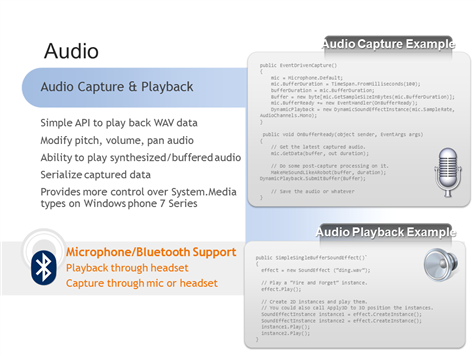 More technical differences between Hi-Def and Reach are here. 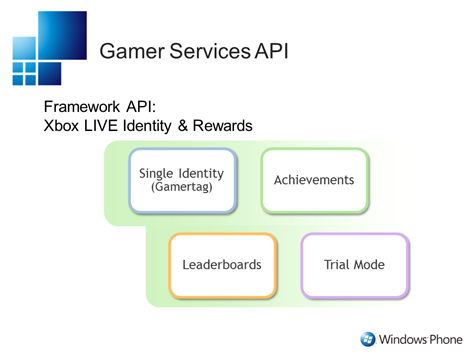 Inputs for games across different platforms is quite easy to configure sing the Cross-Platform Input API allowing you configure Xbox 360 controllers, WP7 devices and desktop keyboards. 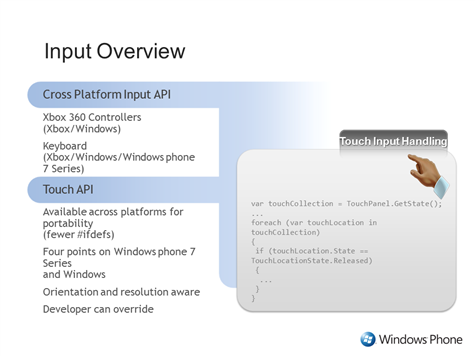 The Touch API allows for 4 input points on the Windows Phone devices and Windows, these points are both orientation an resolution aware. 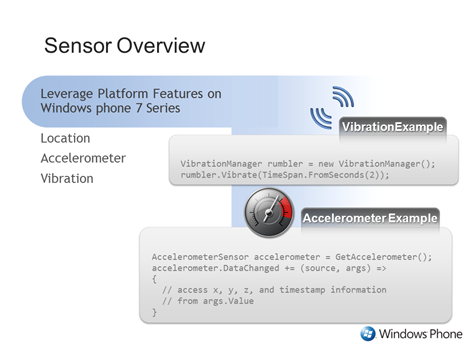 As for the sensors, location, Vibration alert and Accelerometer are available for the developers. 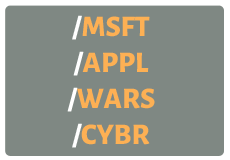 Disclaimer: The information comes from a Microsoft slide deck and is subject to change.